Its been years since my last relationship. REAL relationship. Since then, I only consider love stories only exist on movies that I watch. I almost forgot how is it to fall in love in a REAL world. 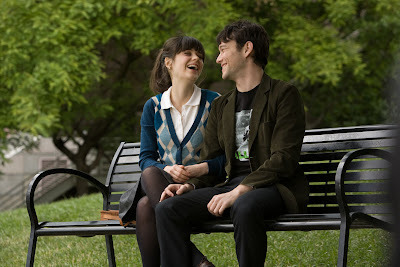 And one day I saw the trailer of (500) Days of Summer. The first time I saw the trailer, I'm sure that this movie will enlighten me once more of a forgotten feeling. But when I watched it, I learned something different. Something different that changes the entire idea of falling in Love. This film talks about Tom's (Joseph Gordon-Levitt) typical life when he experienced to fall in love with a girl they call Summer (Zooey Deschanel). It was a very wonderful at the same time toxic year and a half love affair that contrasts Tom's belief on Destiny with Summer's Unpredictability. As Tom continues living every day of his relationship with Summer, he discovers Love's spontaneous qualities and the bitter reality of falling in love in a REAL world. 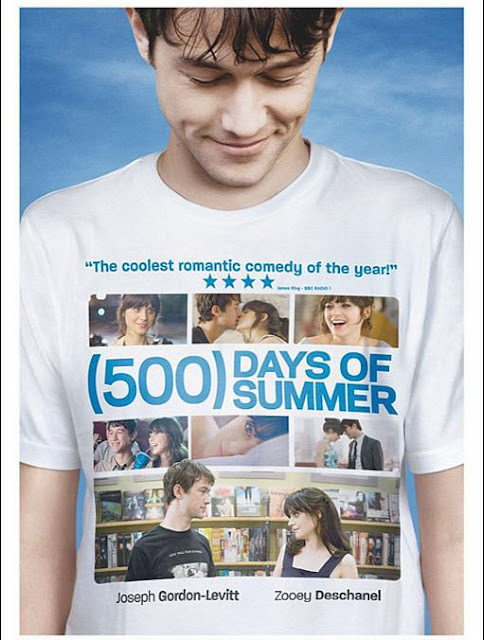 (500) Days of Summer is the first film directorial project of Marc Webb, known for his career on creating music videos for such artists like My Chemical Romance, Weezer, Green Day and Regina Spektor. The film is a very intelligent portrayal of how does Love really looks like on a real world. The story perfectly illustrates Love's unpredictable nature that everything are not based on destiny. The movie is not your typical Romance flick and it will definitely change your Philosophy and beliefs towards Relationships and with Love itself..
Joseph Gordon-Levitt and Zooey Deschanel looks good on screen. No doubt they have perfect chemistry as the lead characters Tom and Summer. Joseph after starring as supporting actor on most of his film, I can say he did pretty well on this film as the lead. He can act and he can connect with his audience. Zooey on the other hand is still as gorgeous as ever and she is the perfect actor to play the role of Summer. Music plays a big role in the film. Music is the one that connects Tom ans Summer characters that leads to their first conversation. Songs by Regina Spektor, Smiths, Doves, Wolfmother and a lot more gave the movie its heart and soul that describes the feelings, expressions and emotions of every sequence. 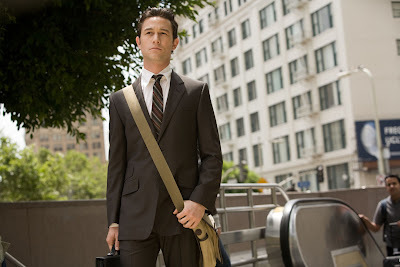 (500) Days of Summer is a musical extravaganza that will make you dance, laugh and cry at the same time. This film is not simple. This film exhibits the complexity and reality of Love. If you are looking for a movie with your usual formula of Love story, this is not it. This movie changes my way on seeing things most specially on having relationships. For what I learned, everything is not dictated by destiny but only with blurred images of things to come. Presented by Fox Searchlight Pictures. 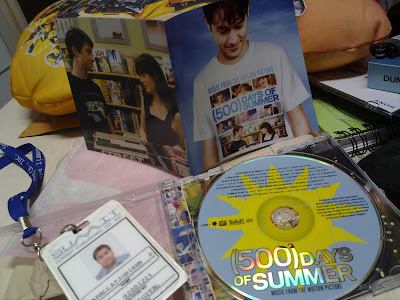 Watch (500) Days of Summer as it is still showing on some cinemas around the metro.